I feel the same way about the $6. This light is a screaming deal at that price. I also prefer a bit more throw. It really makes a difference on a dark night. Yep $6 more for this light is no biggie for what it is. And as TK said HERE (copied & pasted below). This triple is not going to be a “thrower” anyway….. So yeah….. the XPL HI makes the most sense for best overall choice to me. Where did the “LH351D: May be a bit green at low levels?” come from? I hate green and my 4000k Samsung triple does not show green. Since there are too many different opinions the team has decided to settle for Cree XR-Es! In all seriousness, I get that there are different preferences when it comes to tints and LEDs, but please try to tone the discussion regarding this a little down or at least the several contradicting absolute truths (the universe should already have exploded ). There is no clear best solution for this light and it depends on the personal preference. Everybody will have a chance to vote and we will try to be as objective as possible when describing the advantages and disadvantages of each tint and LED. Some people are signed up for a bunch of lights, and an extra $6 for each adds up. People come from a wide variety of financial backgrounds. Some plan to buy the light as sort of a host and swap the emitters and/or optics, which would make any extra cost counterproductive. Increasing the price isn’t a trivial matter. I am signed up for several also. I am not saying $6 more is trival. I DO NOT have an over abundance of money either. I am saying in the big scheme of things $6 more dollars per light is worth it… to me anyway. 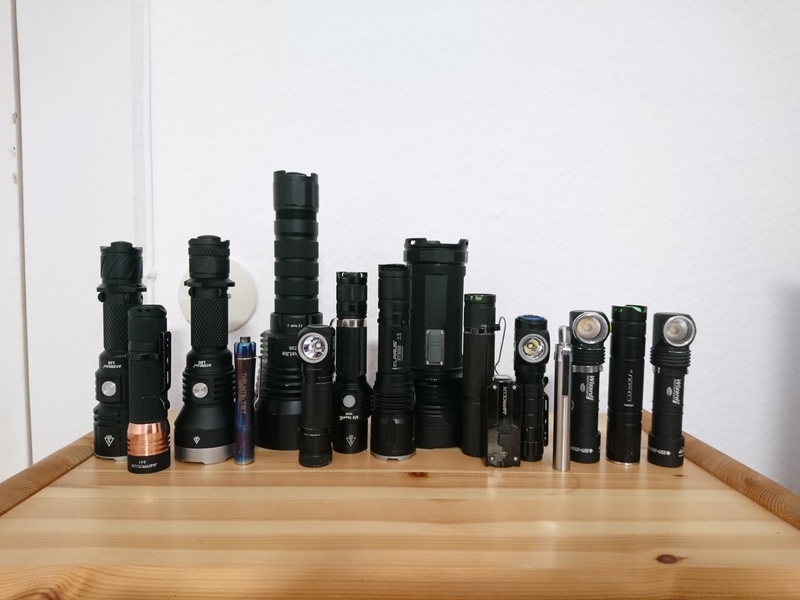 I am also saying that to base the cost or emitter choice on the preference of the few people who are only buying them for host to change emitters and/or optics as soon as they lay hands on them would be a mistake. Of course they would want them for as cheap as possible and not care at all what components they contained. Most likely however, the vast majority will use them as they are delivered from LT. Right, that is where I quoted from. But how was that determined? And why is it a question and not a statement? The BLF CRI babies are at it again? I sorry……… CRI CRI Attica Attica! Oh Ok… my bad. For the rest of your question, I do not know. Yep… it appears that could be maybe. To quote you from an earlier post, it might be getting all “BLF’d up”. XP-L HI 5000k for me! I do not think the floodiness of the samsung would relegate it to indoor use only; perhaps I can test this using my d4 219c since with the filter and GA cell in it, the intensity should be similar. Tonight if I remember, I will show the results. I think it probably would. I’ve tried XPL2 with domes on in triples and it’s very floody. Too floody for anything except very close range use. XPL HI is much more useful. You can illuminate stuff up close using half the power, or go to full power and have a light that’s good out to medium range. If we do XP-E2 with photo red, green, and royal blue, I can totally make it do a bunch of pretty color patterns. I already have the firmware about two thirds finished. Just add an extra-long diffuser to the front, and it makes a pretty decent lightsaber. Or maybe a shoto. Laser wakizashi! FWIW is it realistic to state that an XP-L version will ‘only’ incur a $6 premium? Will the manufacturer be willing to use them with zero markup? 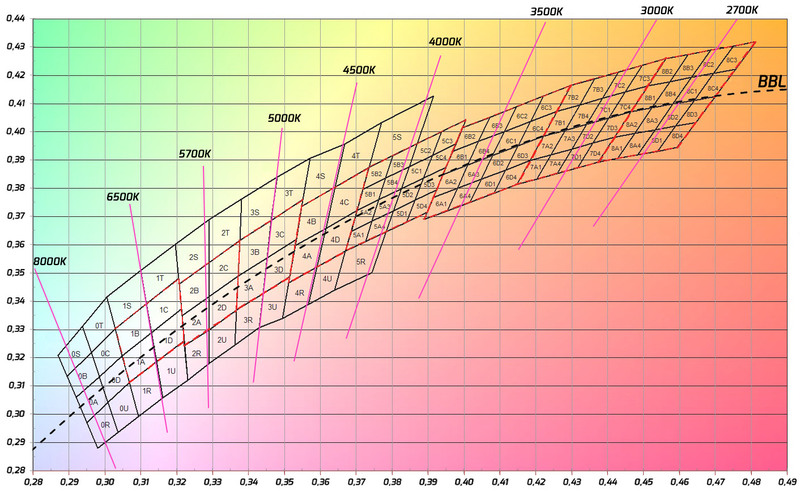 For example, while not a perfect comparison a 4 LED D4 in XP-L is $18 more than the Nichia & XP-G3 versions. When I asked how much extra it would cost, that’s the number Neal gave me. So… yes, probably. On a related note, D4 XP-L HI is now $9.64 extra, not $18 like it used to be. As with other Lumintop community projects, I’m guessing the price will go up after the initial group buy is done. I don’t know how much though. CRI baby is an insult? Whatever. I’ll take it. All of these are at least 80. When I asked how much extra it would cost, that’s the number they gave me. So… yes, probably. Hard to beat info direct from the horse’s mouth. Mountain Electronics still has the original difference. When I wrote the initial post I hadn’t checked IntOutdoors. $x extra for more expensive LEDS does not directly translate into $x extra on retail price. Far from it. Perhaps twice. That’s even assuming the materials are available, and consistent and have been evaluated and found especially good by The Team in prototype 3. At least three reels of them, that’s a significant investment, LED cost is a substantial proportion of the materials cost (not selling price). Plus the NRE for the mechanical design, and CNC programming/tooling, operator/assembler training with good QC, and the tooling and procurement and production-engineering of the driver and MCPCB. Get real, if Lumintop are going to make say 1000, for BLF/TLF combined, at say $30 each , packaged well (this costs real money, whereas a poly bag and some bubblewrap doesn’t, and is just as good once the torch is in your hand), delivered around the world, including any duties, that’s a maximum of $30,000 turnover. If they recoup even $3 per copy they can maybe make $10,000 from this. Hardly enough to pay just one good Western engineer for for a month or maybe two. Push up the materials budget by just $1 and the economics start to fall apart. This was also the case with the Q8, where I think we got an absolute bargain with substantially more delivered than was originally specified, the price held, and it turned out even better than I expected. Armchair pundits are welcome to their (sometimes repetitive) views, but in the real world things have to be affordable for the purchaser, and at least break-even for the manufacturer, at the BLF discount price. I am price sensitive too, and don’t wish to see it increase beyond the original offer, despite the intervening years, inflation, tariff changes and other uncertainties. It’s a great idea, but by no means an essential thing for me to own. Lumintop are doing us a good favour by participating in this, and the GT, I thank them for it, hope we all learn how to participate equally, and imagine The Miller looking on with a wry smile. … and make sure the FW3A’s head is NOT glued. That way we can swap in our own choice of emitter later. And while you’re at it, don’t glue the tailcap either. Some of us like to perform a “clipectomy” on our new lights. That might be difficult to do if the clip cannot be removed due to the tailcap being glued. djozz, do you think the current-based tint shift shouldn’t be mentioned? Is it equal to or less than the effect seen on other emitters? is where the beauty’s at! jon_slider, don’t you think that’s being a bit manipulative? I mean, of course the 5000k doesn’t get 50% or more of the votes, but it DOES have the highest percentage for a single CCT choice in that poll. 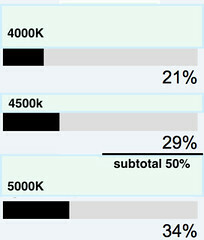 And the second choice, as you can see, is 4500k, which isn’t really that much different. So, MOST people would, in fact, be happy with a ~5000k light.